All of the best times of the one day collective test ahead of the Michelin Le Mans Cup season opener at the Circuit Paul Ricard were set in the morning session after rain fell during and after lunch. The afternoon session was cut short by eight minutes due to a red flag to recover a car that had gone off in the slippery conditions. The best lap of the day was set by Duncan Tappy in the no25 Lanan Racing Norma, the only driver to set a sub 1 minute 50 second lap with a 1m49.870, 0.6 seconds ahead of Matt Bell in the no22 United Autosports Ligier-Nissan. Bell set the fastest lap of the afternoon session with a 1m51.575 in the less than ideal conditions. 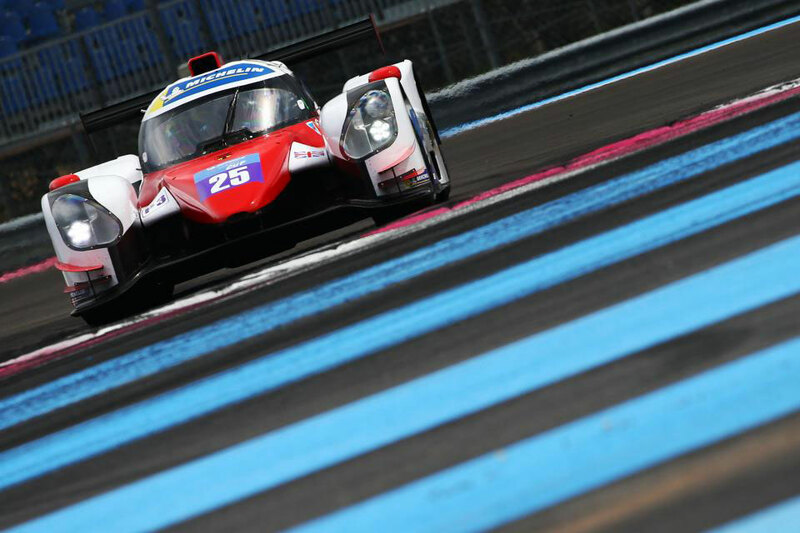 Nicolas Schatz was third fastest behind the two British drivers, lapping the Circuit Paul Ricard in the no39 Graff Norma M30 in 1m50.705s. The GT3 grid was headed by the no54 SPS Automotive Performance Mercedes AMG GT3 of Yannick Mettler with a lap of the 5.7km circuit in 1m53.819, just 0.131s ahead of the no71 Luzich Racing Ferrari of Denmark's Mikkel Mac. Reigning GT3 champion Giacomo Piccini was third quickest in the no8 Kessel Racing F488 in a time of 1m54.081. The Beechdean AMR Aston Martin Vantage next up, with former ELMS LMGTE Champion Andrew Howard posting a 1m54.474, 0.260s behind Fabien Lavergne who was fourth fastest in the no71 Luzich Racing Ferrari. Track action for the race weekend will begin on Friday 12 April with the first of two practice session starting at 09h50 (local).